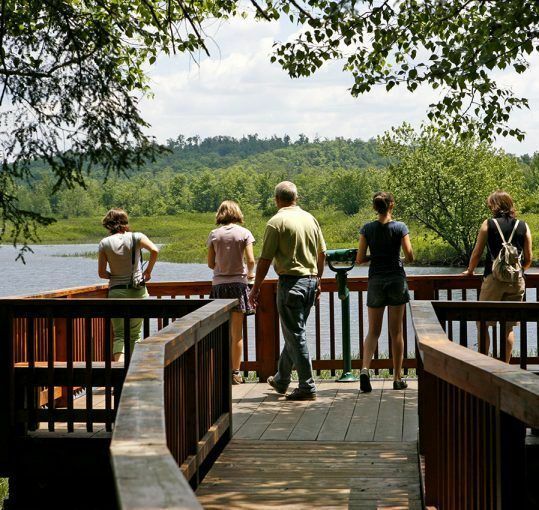 Outside The Wild Center there are forests, a winding river, our own trout-filled pond, and trail walks both brief and long. 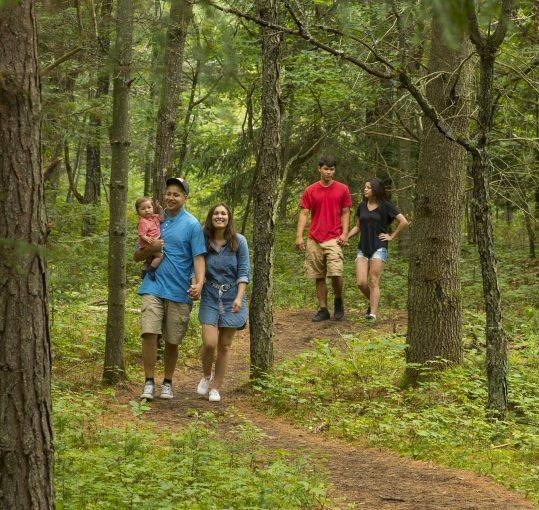 Explore the trails on the 115-acre campus on your own or on one of our guided Naturalist walks. 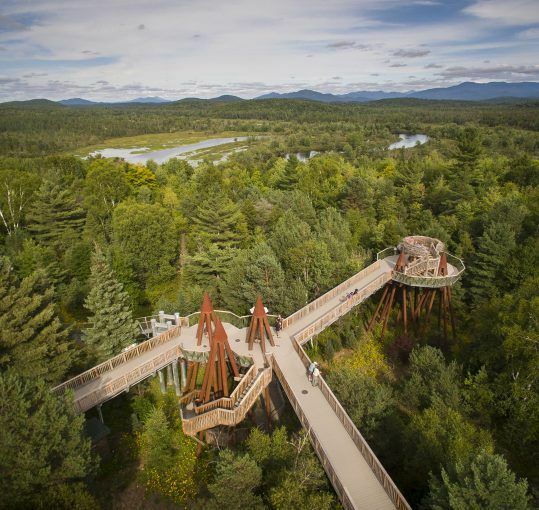 Walk up a trail of bridges to the treetops of the Adirondack forest. Visit a four-story twig tree house, swing on bridges, clamber over a spider’s web or climb to the full-sized bald eagle’s nest at the highest point. 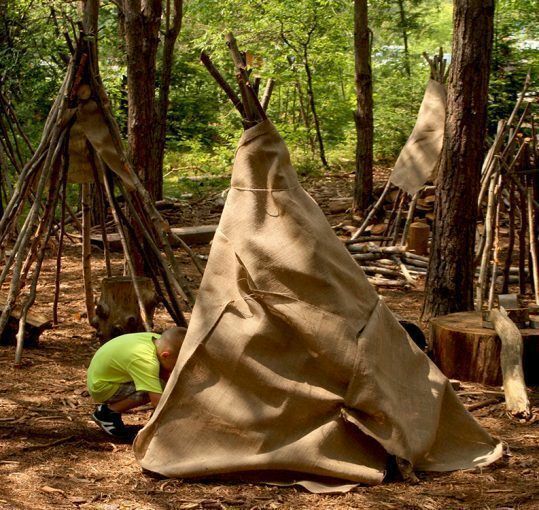 Step into iForest: An immersive sound experience on The Wild Center’s campus and a new way to connect with the natural world through music. 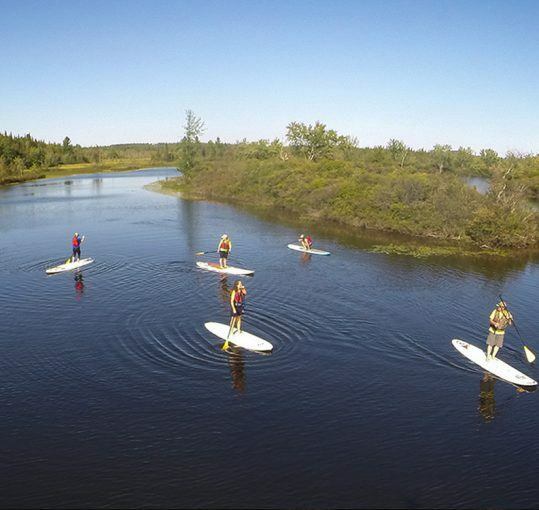 See the river from a new perspective on a guided stand up paddleboard trip. 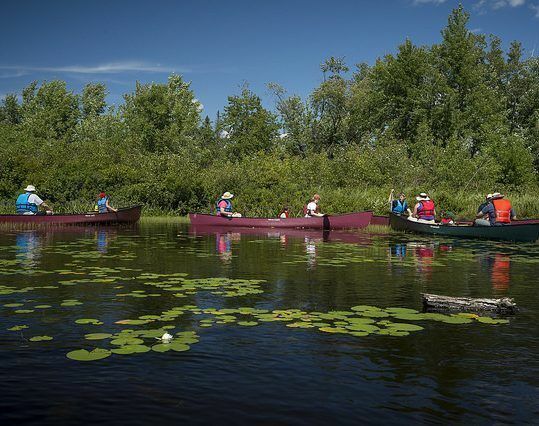 A canoe trip will bring you even closer to the real nature of the Adirondacks.